While no photographer would deny the importance of mastering the technicalities of the craft, most would agree that true satisfaction comes from using technique to realize more profound, creative goals. 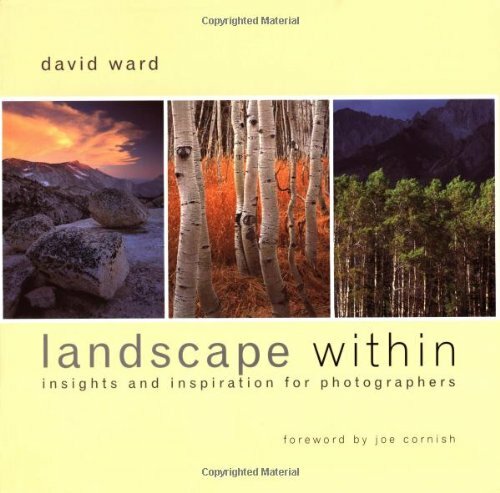 In Landscape Within, distinguished landscape photographer David Ward investigates the goals of photography and how they can best be achieved. He is concerned, primarily, with the nature of creativity as it is experienced and practiced by photographers, and with the thought processes that go into making an image that aspires to be a work of art. In exploring these issues, and in drawing on his own superb work, he has produced a book that goes far beyond the “how-to” manual, addressing questions that, though rarely asked, go to the heart of every photographer’s ambitions. David Ward has been a fine-art landscape photographer for more than 20 years; his work has appeared in many publications, including OUTDOOR PHOTOGRAPHER and AMATEUR PHOTOGRAPHER.